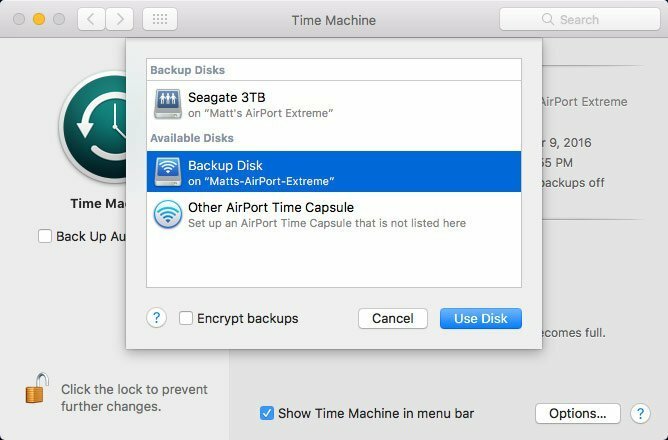 When Apple brought Time Machine to the Mac, it made it so much easier to backup your computer to an external disk. They made it extremely easy by keeping automatic backups every hour, daily backups for the past month, and weekly backups for previous months. You basically set it up and forget about it. However if your external hard disk is connected to an AirPort Extreme, you’ve probably discovered that the initial backup can take a LONG time. If you have hundreds of gigabytes of data, it could easily take over a day to complete the backup. I’ll show you a technique that will enable you to do the initial backup locally, that will turn days into hours. First you’ll need to make certain your backup disk is using the correct partition for Mac OS to recognize. 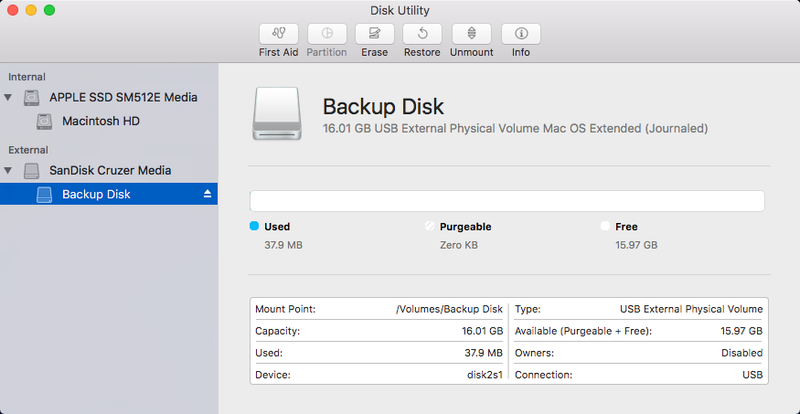 Connect your backup disk to your computer. You’ll want to be certain your disk is formatted using Mac OS Extended (Journaled). If not, click the “Erase” button at the top and type a name you prefer to use, and the corresponding Format. You can leave the Security Options alone. Once it has completed formatting, eject the disk from your computer. Now we need to prep the files on the backup disk before we can do the backup locally. 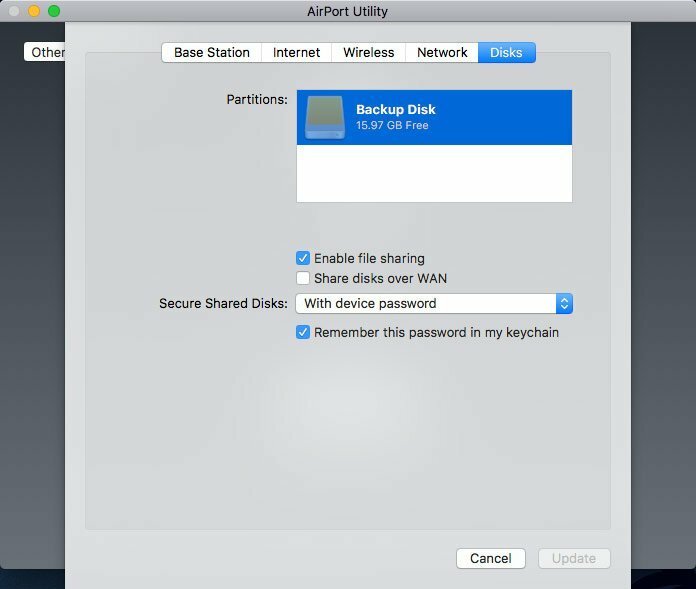 Connect the backup disk to your AirPort Extreme. Make sure that the disk you just formatted is selected. Close AirPort Utility. 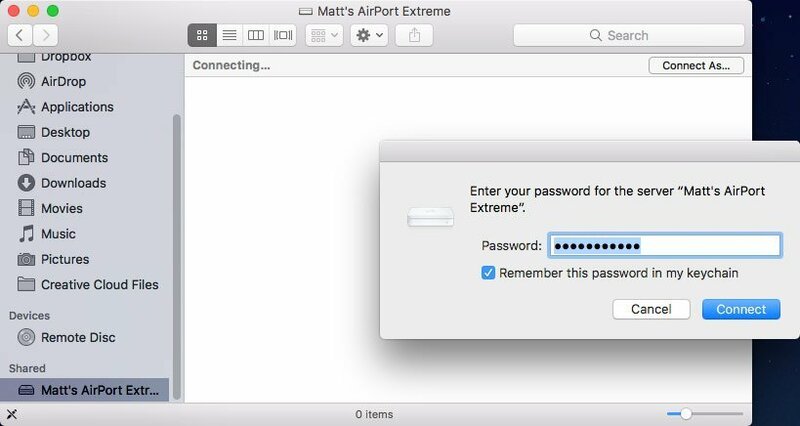 Click the Connect As… button on the top of the window and you’ll be asked to enter your AirPort Extreme password. Double click the shared folder inside AirPort Extreme. This should be the name you used to format your backup disk. Now that the disk is recognized, we need to select it in Time Machine. Open Time Machine. Click the Use Disk button. Uncheck the “Back Up Automatically” for now. Wait until it begins writing actual data onto the disk. 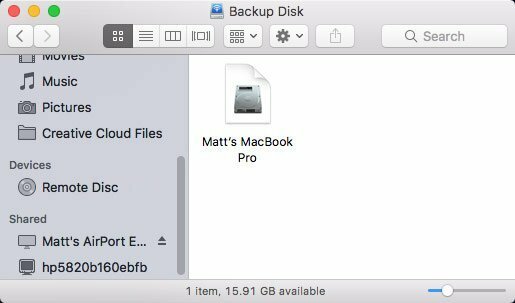 Once this begins, you can go ahead and cancel the backup by clicking on the gray X. Go ahead and eject your AirPort Extreme drive in the list of shared drives on the left. 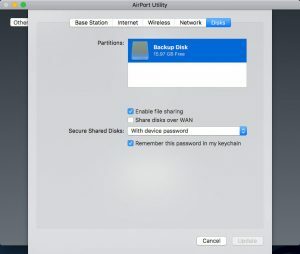 Unplug your backup disk from your AirPort Extreme and plug it back into your computer. Inside Time Machine make sure your backup disk is selected as the drive to use and make sure to uncheck “Back Up Automatically”. We’ll turn this back on later. On the Mac OS menu bar, click on the Time Machine icon, then click “Back Up Now”. This will do a complete backup of your computer locally. Depending on how much data you have, will determine how long this will take. It will take a few hours. Go grab some coffee. After this has completed, eject the backup disk. Plug the backup disk back into the AirPort Extreme. Select the drive again inside Time Machine. Make sure “Back Up Automatically” is now turned on. That’s pretty much it! It will now complete incremental backups over your network as usual. You can click the Back Up Now button in the menu bar to be certain it works.